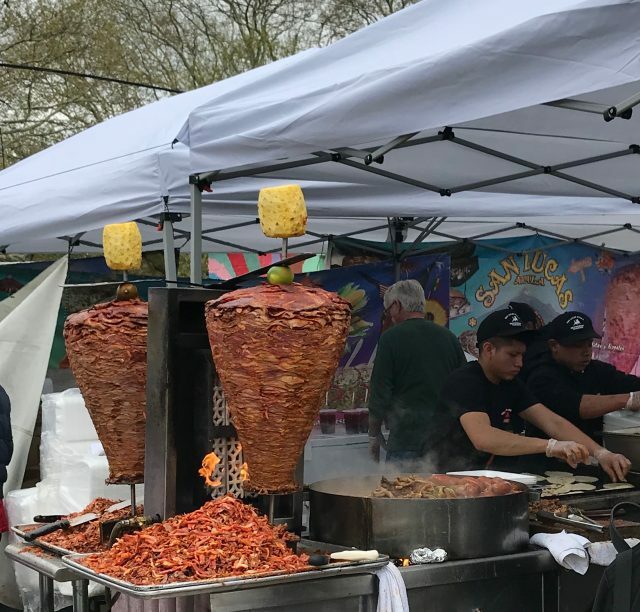 Just in time for Cinco de Mayo, the Philadelphia Inquirer produced a very comprehensive guide to Mexican restaurants, bakeries, markets, and ice cream shops in South Philly. Written by restaurant critic Craig LaBan, the piece features links to past reviews and beautiful photos by staff photographer Tim Tai. We had hoped that some of these places would stay “our little secret” a bit longer. So we’re totally fine if you just want to click through the gorgeous photos and leave the restaurants to us. 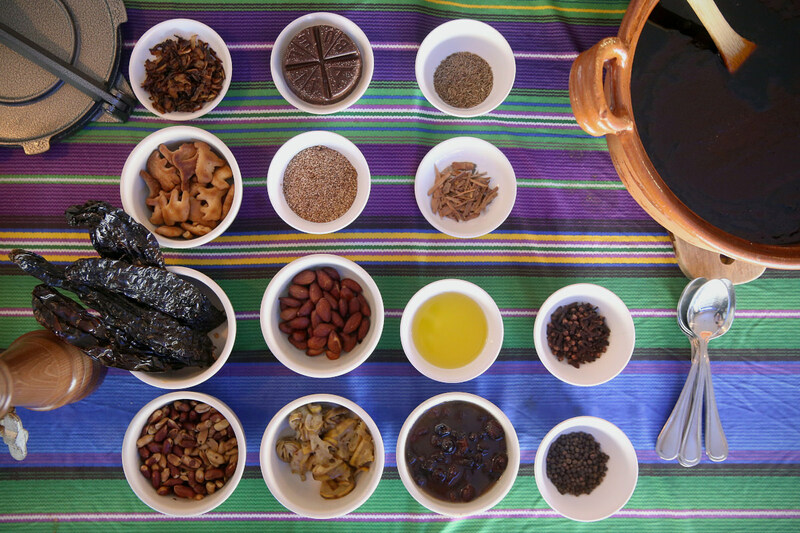 Then again, these small business owners work hard and deserve our support, so…buen provecho! Tongue & Groove Spontaneous Theater presents “Groove On!” tonight at L’Etage, 624 South 6th Street. 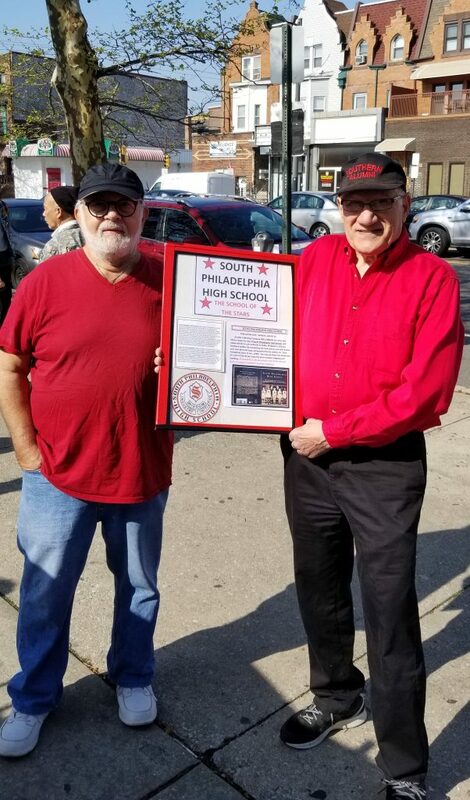 The fundraiser will feature daring displays of the other talents of the ensemble’s members which includes two South Philly residents. 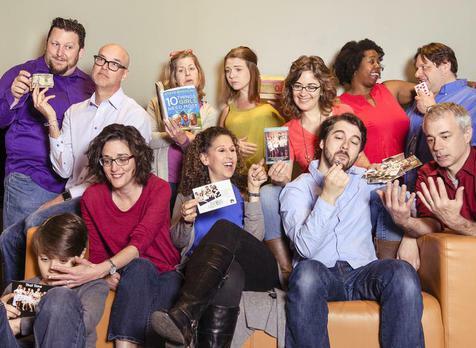 Tongue & Groove is a Philly-based improvised theater group founded in 2006. In their regular shows, the group anonymously collects thoughts from audience members which they then use to create improvised scenes and monologues. Tonight’s show is more of a talent show-meets-fundraiser. The Tongue & Groove troop. 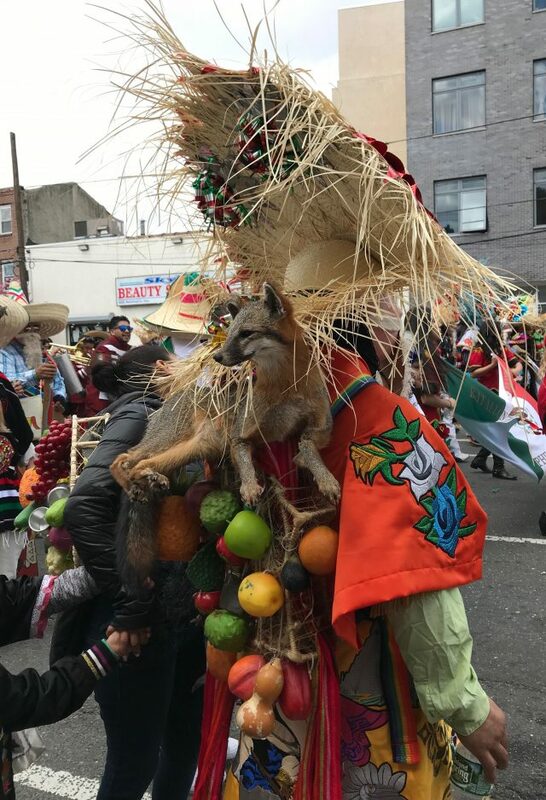 South Philadelphia resident Beth Dougherty is shown in the lower left corner of this photo. Various cast members will showcase their skills which include cabaret singer, magician and drummer. They’ll be joined by special guests to offer a fun-filled evening. 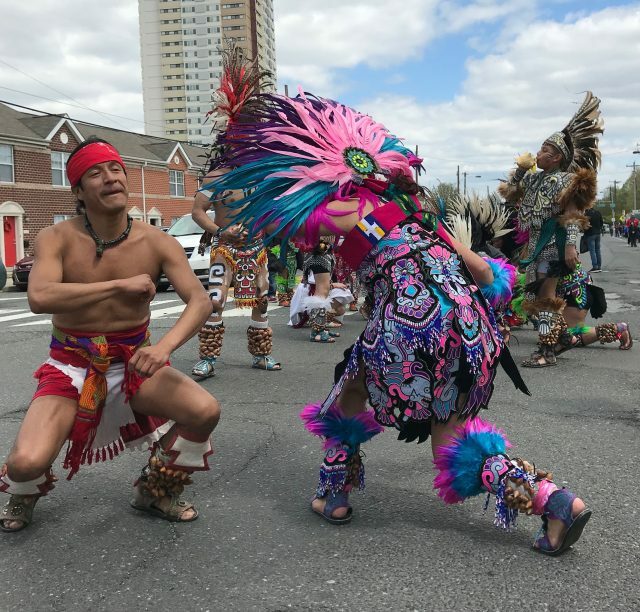 Ensemble member and East Passyunk Crossing resident, Beth Dougherty, noted that the group just received non-profit status through CultureTrust Greater Philadelphia. 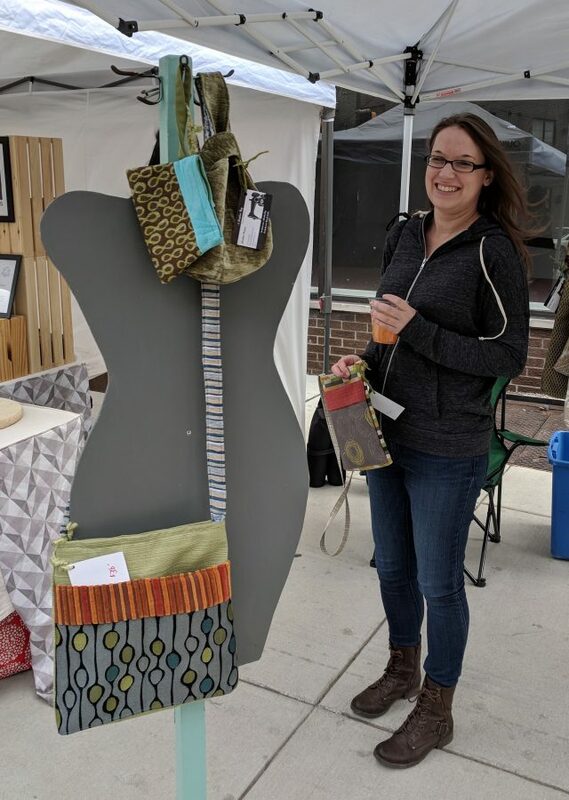 The fundraiser will help the group meet their mission of helping people connect in a disconnected world. 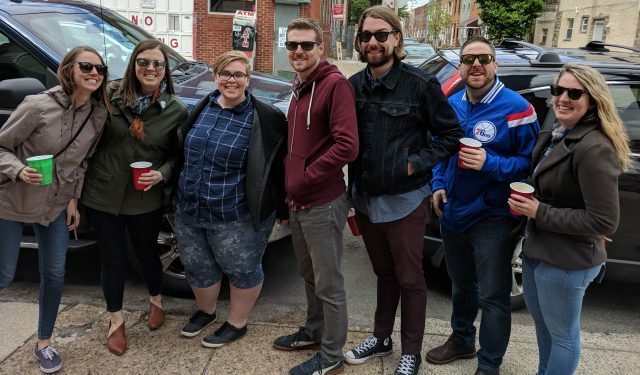 “A show like ours [in which] we create the content from suggestions we receive from the audience…connects everyone who is present…we help to bring people together…and everyone walks out feeling the same good feeling together,” Dougherty explained. Check out the group’s talents tonight by purchasing tickets here. Soooo much to do! 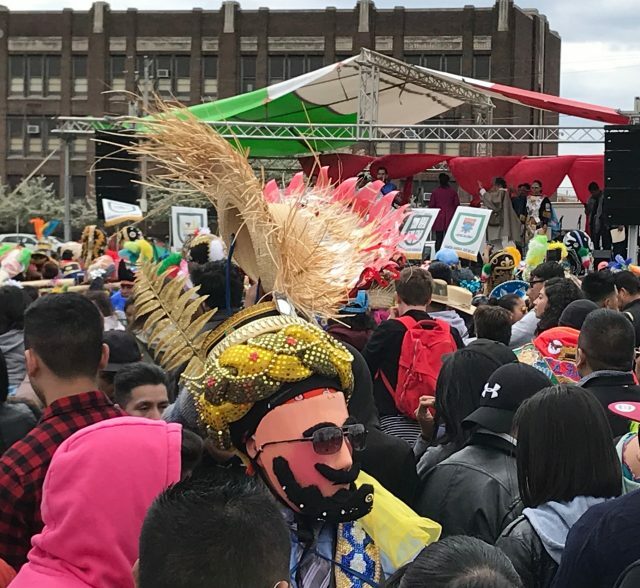 You just might need to clone yourself to take-in all the events happening in South Philly this weekend. We’ve compiled those we could find. See something we missed? 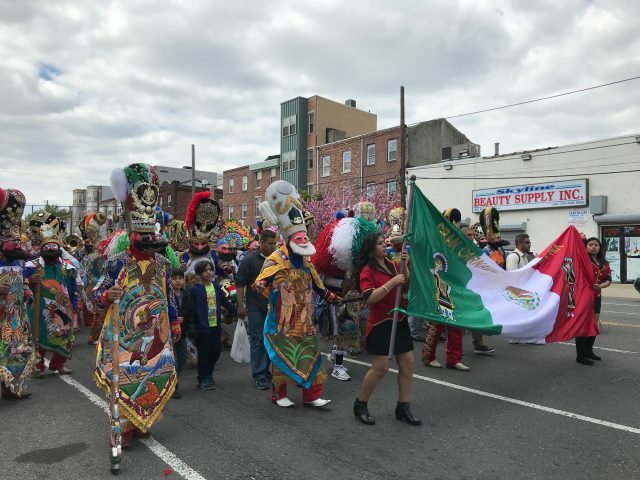 Know of an upcoming South Philly-based event? Please email us: events@passyunkpost.com. 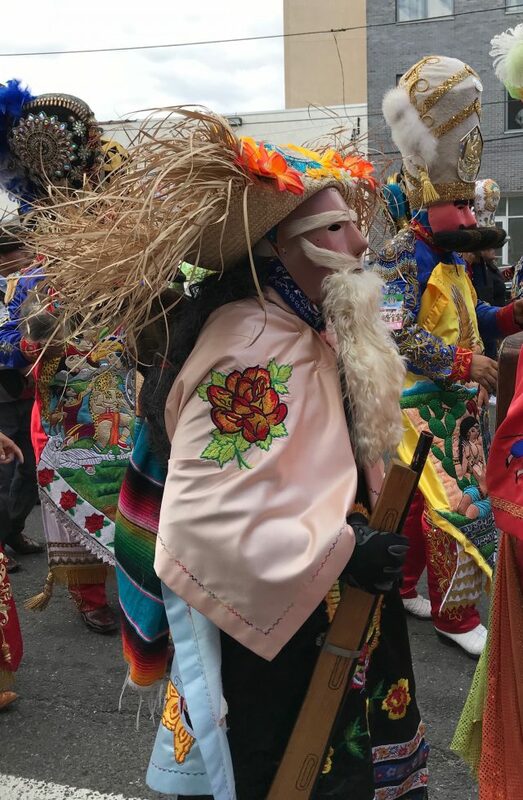 El Carnaval de Puebla en Filadelfia. Photo by Visit Philadelphia. 6:00pm. 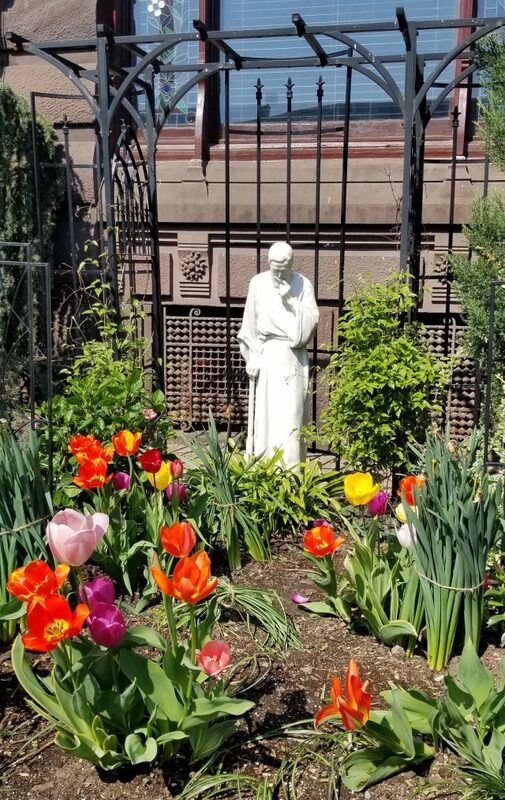 Victim/Witness Services of South Philadelphia Awards Ceremony & Auction at the Fleisher Art Memorial at 6 p.m. For more details, see here. 7pm to 10pm. 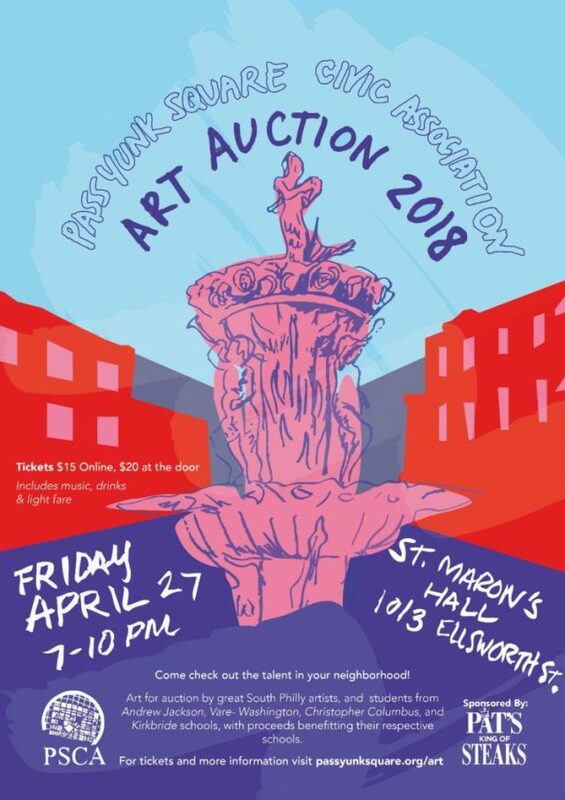 Passyunk Square Civic Association’s 7th Annual Art Auction at Saint Maron’s Maronite Catholic Church, 10th and Ellsworth Street. Story and details here. 7pm to 10pm. Philadelphia’s Magic Gardens will kick-off another season of Twilight in the Gardens. Visit here for more info. 9am to 3pm (rain date: Sunday, April 29th). 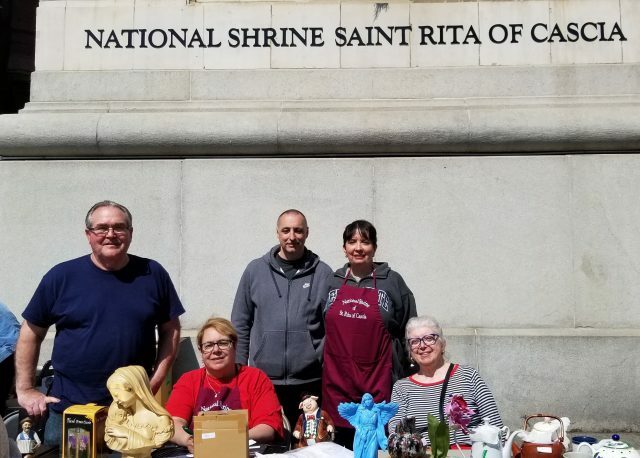 Lower Moyamensing Civic Association Spring Flea Market. Over 60 vendors located along South Broad St. between Snyder Ave. & Jackson St.
9:00am. South Division Police Memorial Bike Ride, starting at 1900 Washington Ave. Join the Police District Advisory Councils (PDACs) of the South Division for this special 4-mile bike ride through South Philly. The ride honors officers felled in the line of duty in the 1st, 3rd, and 17th districts. Children under 13 who register will receive a t-shirt and do not have to ride the full distance. 12pm to 4pm. 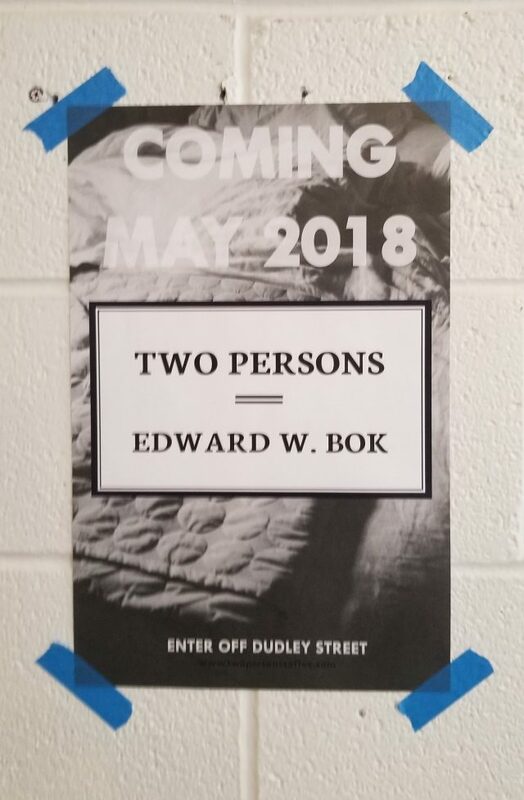 BOK Open Studios 1901 S 9th St. One of two chances you’ll have this year to see what the creative tenants of BOK are up to! 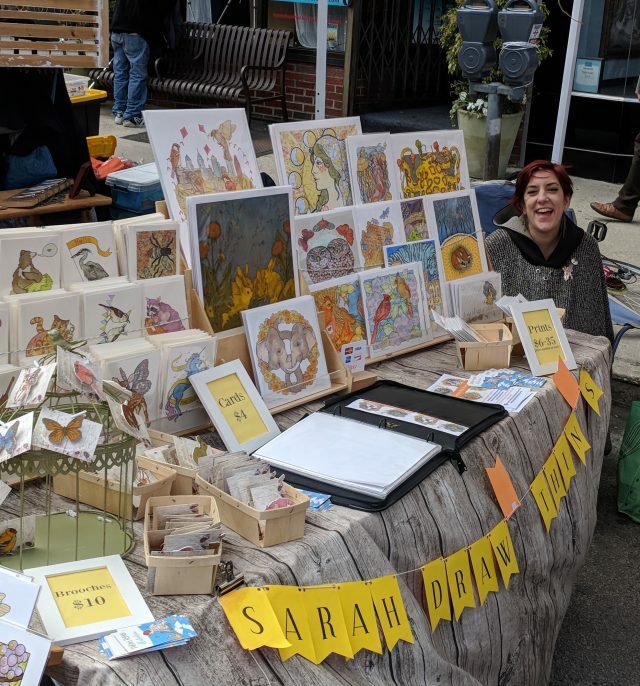 In addition to open studios, you’ll find gallery exhibitions, special programming in the gyms and auditorium, fun for kids, and more. 11am to 5pm. Flavors on the Avenue, offering up a taste of restaurants on East Passyunk Ave. from Broad to Dickinson. Read more here. 8am to evening. 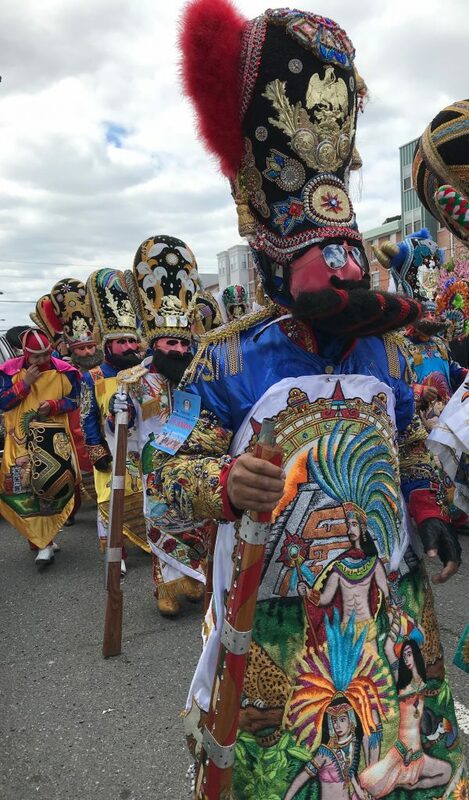 El Carnaval de Puebla is back in South Philly after a year off. 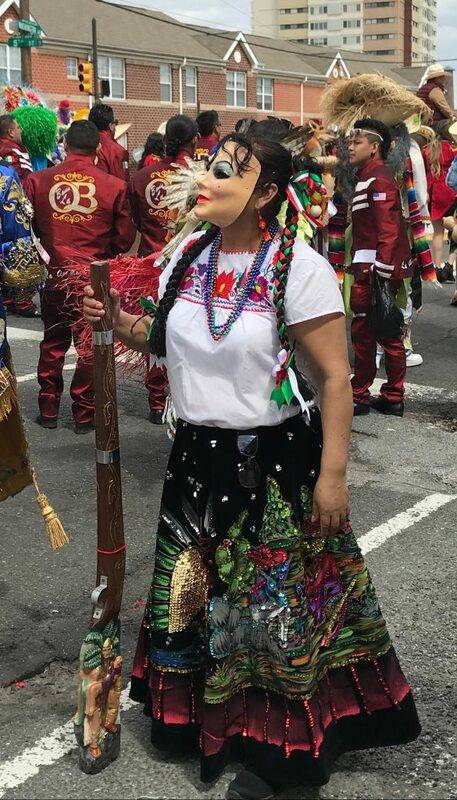 This celebration of Mexican culture marks the Mexican army’s victory over French forces in the Battle of the Puebla on May 5, 1862. 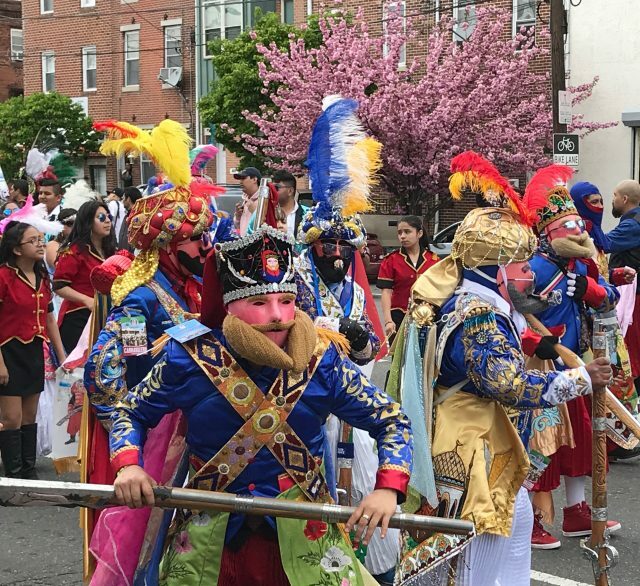 The event is more commonly known as “Cinco de Mayo.” Philadelphia’s event begins with a welcome celebration at 1417 Moore Street at 8 a.m. At noon, a parade kicks off from 16th and Washington Avenue, featuring hundreds of men and women dressed in bearded masks, capes and other decorations representing historic individuals from the battle. 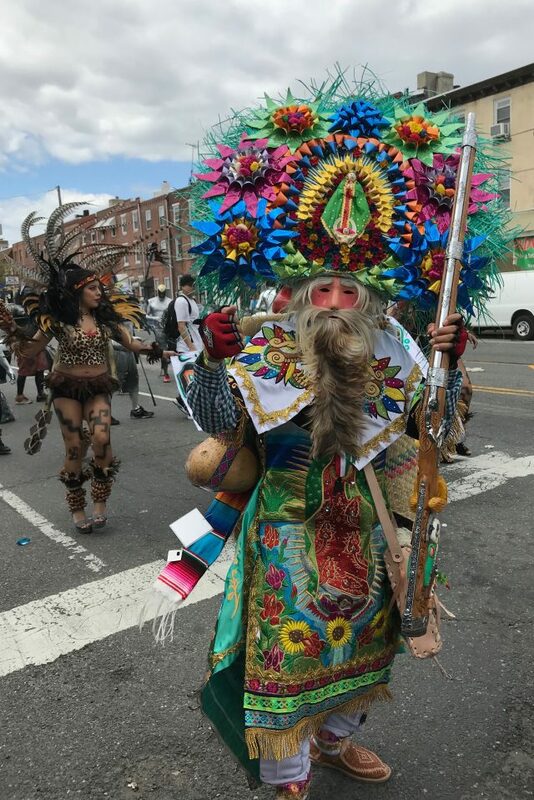 The parade ends with a festival at Sacks Playground (4th & Washington Avenue). 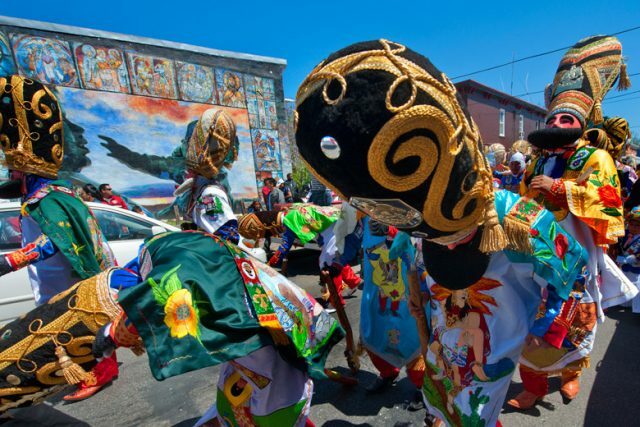 Four live bands (including two from Mexico) will provide entertainment. 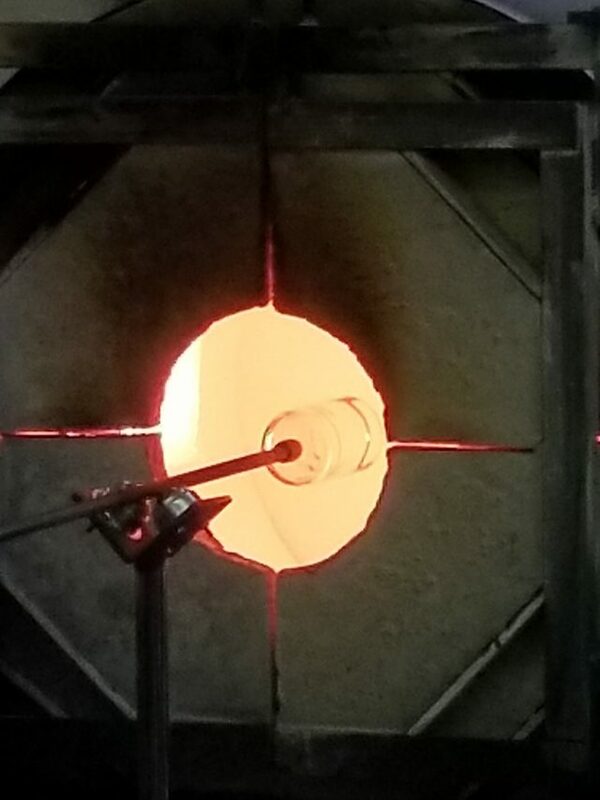 Check out Anna Merriman’s detailed piece over at Curbed Philly.